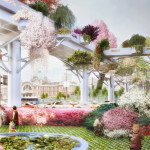 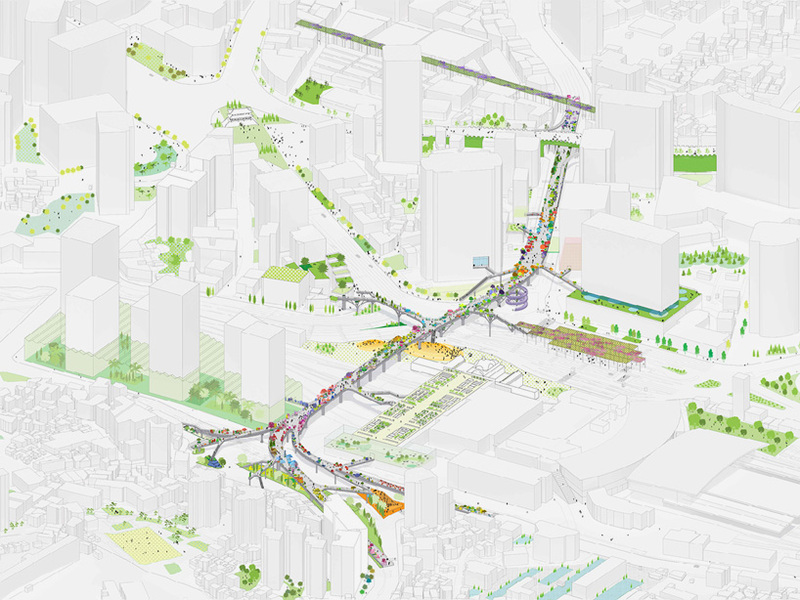 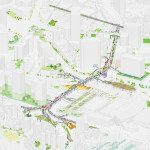 Just when you were getting tired of more High Line copies, Dutch architects MVRDV has breathed new life into the genre with their winning proposal for the “Seoul Skygarden,” a 3,000 foot long section of disused elevated highway. 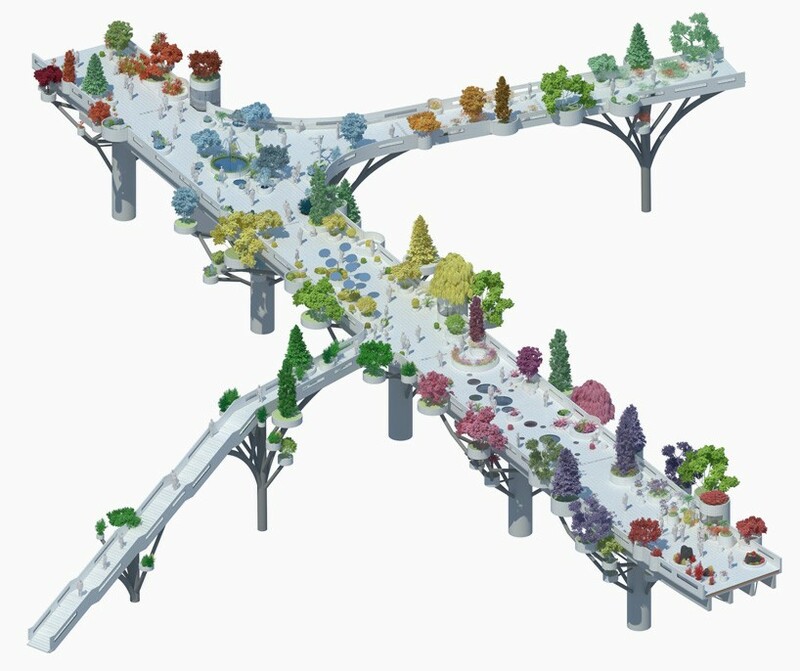 Their design doesn’t simply reappropriate the space into a linear public parkway—it uses the original 1970s structure as the basis for an urban horticultural extravaganza. 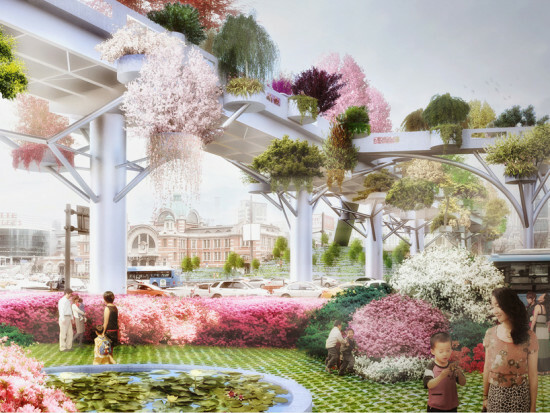 Form that structure, which was deemed unusable for cars in 2009, the designers have attached a series of stairs, lifts and escalators as well as new satellite gardens that will grow with the needs of the park. 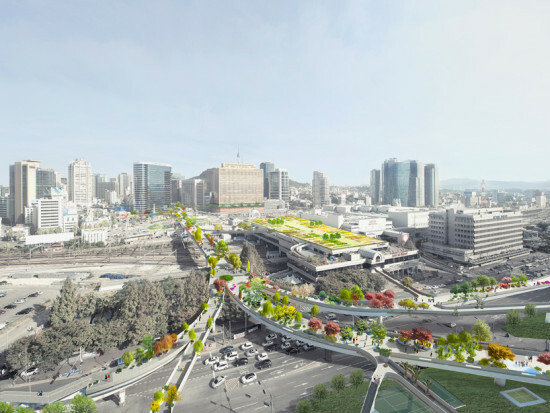 The design features 254 different species of trees, shrubs, and flowers, which are chosen to showcase the biodiversity of Seoul. 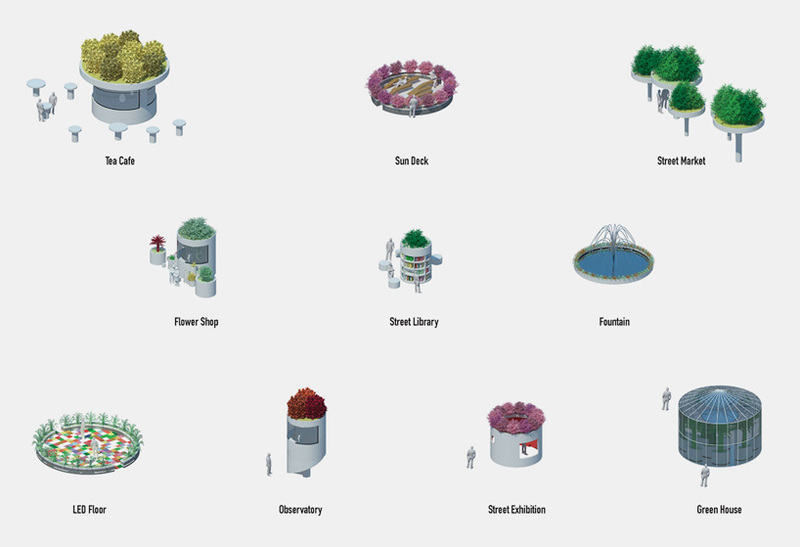 The library of plants is organized alphabetically and will educate visitors. 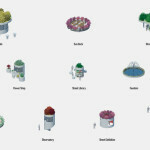 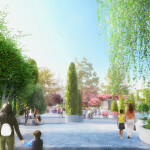 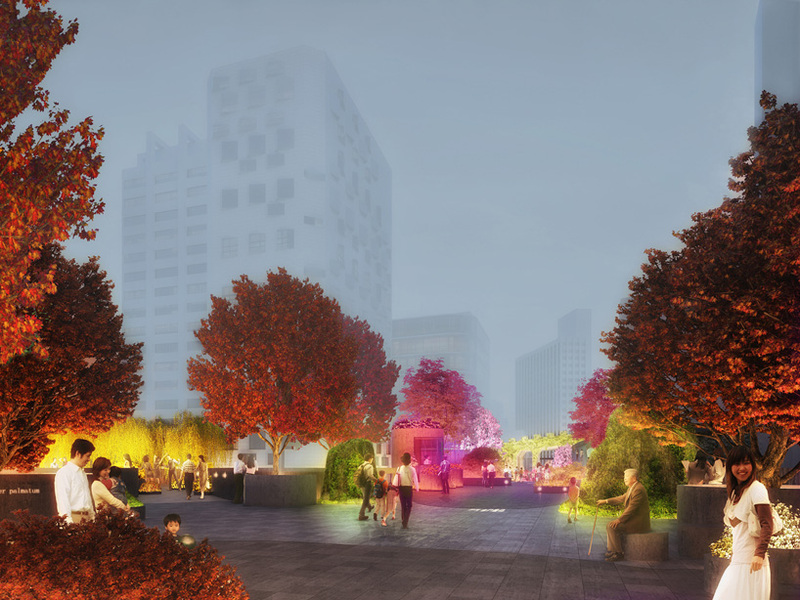 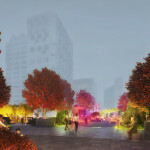 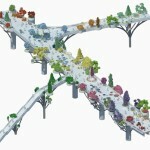 New leisure spaces such as flower shops, street markets, libraries and greenhouses will provide respite from the city. 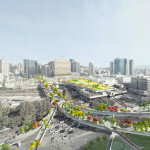 The new urban thruway will connect two zones that were previously separated by a railway station and a subsequent 25 minute walk. 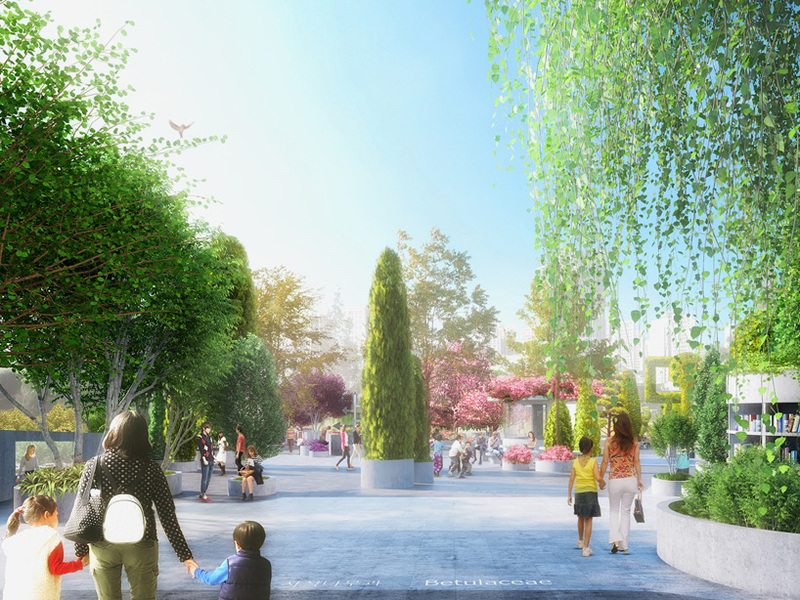 The now-pedestrian friendly path will reduce this walk to 11 minutes, while simultaneously producing an estimated 1.83 times its own cost for the city.